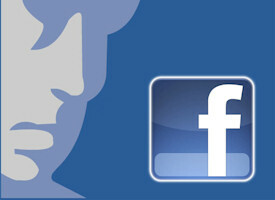 You've decided that a Facebook Fan Page is the right social networking channel for your business. Maybe you've already created a Fan Page and you're posting content once a day (good for you!). But you're probably thinking "There's GOT to be more possibilities than just posting status updates—what am I overlooking?" A fancy page does NOT equal a successful page. This seminar will help you get started—and show you iteractive Fan Page tactics that can improve your Facebook marketing using input from existing fans. Jeff Widman is a marketing wunderkind who helps companies use Facebook to build brands and sell products, primarily through Fan pages. He initially started marketing through Facebook as a sophomore in college—back when only college students could use Facebook. Jeff believes Facebook is a tool that effectively complements common online channels like SEO, SEM and e-mail marketing. He emphasizes blending story-driven branding with metrics-driven analysis to effectively convert exposure on Facebook into real revenue opportunities. Jeff's recent efforts quadrupled traffic from Facebook to Mint.com. Other clients include Seth Godin, Microsoft, Kiva.org, SlideShare, and David Allen (author of Getting Things Done). He's been quoted as a Facebook expert by InsideFacebook, AOL Small Business, and Slate.com, and he's written for TechCrunch, VentureBeat, and Techmeme. Marketers and business owners who want to know how to embrace Facebook to engage with current and future customers. Ideally, you will have already attended the preceding seminar, Choosing Your Facebook Marketing Tactics. We'll cover both B2B and B2C examples in this session. This is another seminar in our Grapevine Marketing Series. PRO members have access to these and all our seminars! "Absolutely critical for understanding how to use Facebook to best advantage for your business...without being annoying to your fans and friends!" "The was by far the BEST webinar on FB - included both theory and practical application and How-to's! Great job." "Jeff did a masterful job detailing the intricacies of facebook marketing." "Resourceful, with lots of insight, experts advice to die for...extremely useful, trendy and up to date." "If you need to know how to "do" Facebook fan pages for yourself or your clients, this seminar contains almost everything you need to know to make them actually work!"